We ship nationally - Buy local and ship nationwide. 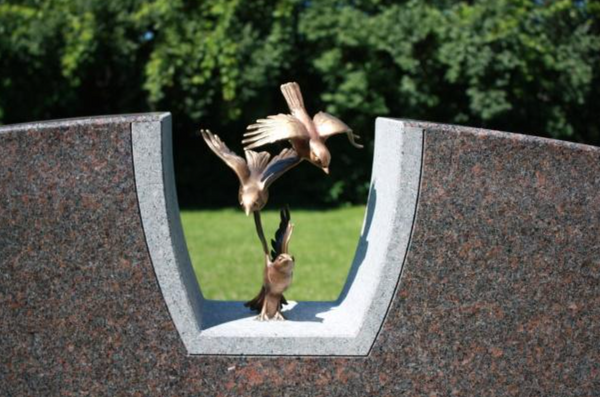 While the majority of our customers are in Northwest Ohio and lower Michigan, families recognize our monument stone designs nationwide and because of our reputation we design and ship memorial stones throughout the country. Every cemetery has a variety of policies and regulations families need to abide by in order to have a gravestone installed. Our consultants will coordinate with the cemetery to guarantee your memorial stone follows the set guidelines and is authorized for delivery and installation. Our consultants can work with your cemetery to ensure a smooth outcome, call or contact us at 419-878-9030.